For the start of the 2017/18 season, it will be mandatory for all age groups and formats of football to have Personal Accident Insurance. This is mandatory for both adult and youth clubs. If players get injured whilst participating in football, financial loss can occur as a result. Personal Accident insurance provides cover to players and can help to offset this potential loss or unexpected expenses. We have a long standing partnership with grassroots sport teams insurance provider, Sportsguard. If you would like to purchase your insurance with Sportsguard, this can be purchased on Step 6 of your Club Affiliation form. Please ensure you select OPTION 5 Personal Accident Insurance and include ALL TEAMS in this option. For example, if you have 3 Youth Teams, please enter 3 in the quantity column. If you choose to go with a different provider, please upload your policy on Step 5 of your Club Affiliation form. Please note, you will not be able to complete your Club Affiliation without Personal Accident insurance. 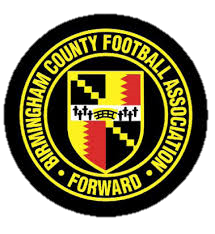 Birmingham FA is pleased to be able to provide all our Clubs with Public Liability insurance. This is included as part of your Club Affiliation fee, which means you do not have to purchase this separately. Please just select 'purchase from my County FA' at Step 5 of the online Affiliation form.